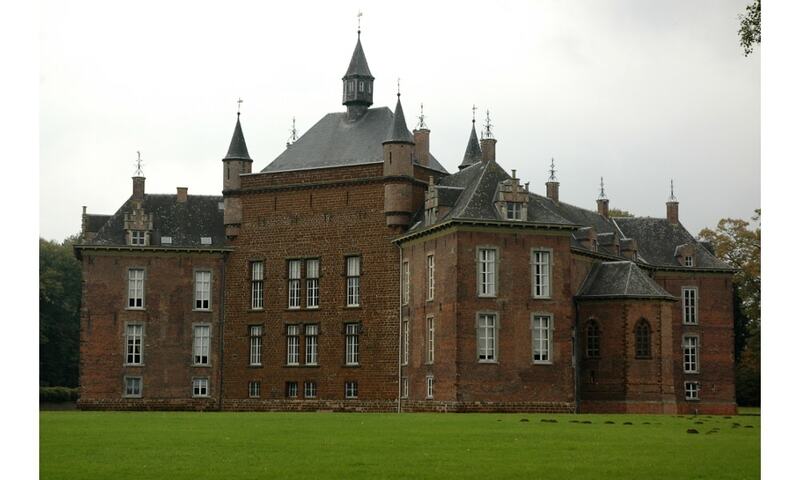 The castle of the Princes de Merode has been the home of the House of Merode since more than five centuries. The central keep or Donjon was built in local brown stone in the 14th-century. The castle was adapted, extended and restorated several times. From the 16th century onwards it was transformed into a more luxurious noble dwelling and gradually lost its fortified character. Several restorations in the 19th century gave it back a more 'romantic' medieval appearance. An English landscape park of 12 hectares surrounds the castle. Locals call it the Old Castle, to differentiate it from the Castle of Countess Jeanne de Merode (called the New Castle), which is located nearby.